Hitmontop in game: 264 Who? Important notice! 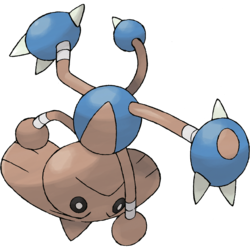 Pokemon Hitmontop is a fictional character of humans. 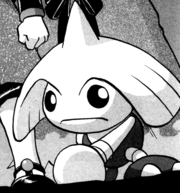 Hitmontop made its animated debut in the short Pikachu & Pichu. Butch has a Hitmontop who first appeared in The Mystery is History. A Trainer named Chigusa in Two Hits and a Miss has a Hitmontop. One of the Invincible Pokémon Brothers, Kai, owns a Hitmontop as seen in Gotta Catch Ya Later!. Terri in Pasta La Vista! also has a Hitmontop. 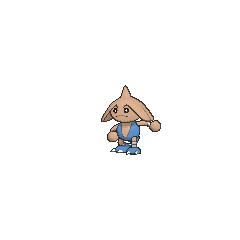 Tierno's Hitmontop appeared in Good Friends, Great Training!, when Tierno revealed his team to Ash, Serena, and Bonnie. A Hitmontop was part of a Pokémon street festival in Doin' What Comes Natu-rally. A Hitmontop was one of the Pokémon seen at Chuck's Gym in Machoke, Machoke Man!. In Outrageous Fortunes, Mason's Hitmontop went up against Delaney's Poliwrath and lost. 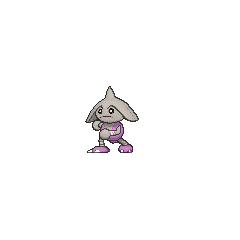 A Hitmontop was used by one of the students of the Pokémon Trainer's School in Gonna Rule The School!. 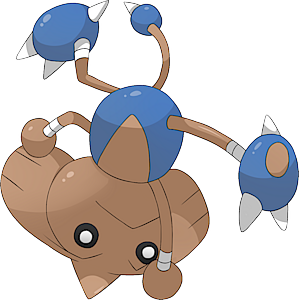 A Hitmontop was used by one of the participants of Pokémon Ping Pong Tournament in To Thine Own Pokémon Be True! and a Coordinator in the Contest in Dressed for Jess Success!. Another Hitmontop appeared in Yes in Dee Dee, It's Dawn! under the ownership of a Pokémon Coordinator. It was used alongside a Corsola for the Double Performance required during the Daybreak Contest.